Belton Fleisher received his Ph.D. degree in economics from Stanford University in 1961. He was on the faculty of the University of Chicago from 1961 to 1965 and joined the Ohio State University faculty in 1965, where he is a Professor Emeritus of economics. He spent the year 1963-64 at the London School of Economics. Since 1990, his research has focused mainly on the Chinese economy. 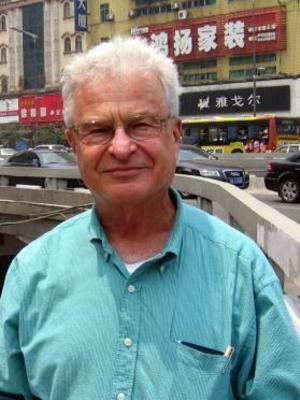 He has authored and co-authored over 40 articles in professional journals including American Economic Review, Journal of Political Economy, the Review of Economics and Statistics, Journal of Comparative Economics, Journal of Development Economics, Journal of Economic Education, and China Economic Review. Some articles in recent years include: Problems of China’s Rural Labor Markets and Rural-Urban Migration, (with Dennis T. Yang), Chinese Economy 39,3 2006; Pitfalls in Evaluating Teaching: The Case of Higher Education (with Bruce Weinberg and Masanori Hashimoto), Journal of Economic Education 40 (3) 227-261; The Evolution of an Industrial Cluster in China (with William McGuire, Dinghuan Hu, and Xiaobo Zhang); China Economic Review 21, 2010, 456-459; “Human Capital, Economic Growth, and Regional Inequality in China,” (with Haizheng Li and Min Qiang Zhao) Journal of Development Economics 92,2 (2010) 215-231; “Economic Transition, Higher Education, and Worker Productivity in China,” (with Haizheng Li, Yifan Hu, and Seonghoon Kim), Journal of Development Economics 94, (2010) 86-94. He is a Senior Fellow of the China Center for Human Capital and Labor Market Research at the Central University of Finance and Economics in Beijing and serves as Executive Editor of China Economic Review. Induced Innovation and Labor Productivity in China, with William H. McGuire, Xiaojun Wang, and Min Qiang Zhao.